For businesses today, the presence of a website is vital to appearing legit in the minds of your audience. But that’s only part of the puzzle. A good question to consider is whether your website truly matches the level of quality you deliver. Smart Design can turn a good website into a memorable one! First impressions matter – 46.1% of people say a website’s design is the number one criterion for discerning the credibility of a company. That’s why you need to invest careful thought in your website design. A one page website or a deep dive one, if it looks well designed, your audience will perceive that you’re a professional who has the means- enough clients and enough income. A positive perception is half the battle won! Design principles used effectively, hook your audience, help them embrace your brand and initiate them into action. But design has to be approached with the user in mind – not just a visual delight but a much more well rounded problem solving approach. For entrepreneurs looking to increase their online visibility and garner customer attention, having an understanding of basic website design principles is an advantage. Whether you create a DIY website, work with a designer, are considering starting one or still need some more convincing to begin, constantly evaluate your website against the following best design practices for a better outcome. Your website isn’t about your product. It’s about your customers’ needs. Setting clear goals delivers long term clarity for you as well as your team. Let that goal be the Northstar that enables and guides all your design decisions. Your choice of elements on your website should stay true to your purpose. Research your customers and competition to have a starting idea of the features and benefits that matter. Give careful thought to your appropriate audience and design with organic traffic in mind – people who don’t know you! “As entrepreneurs grow, their site most certainly can grow with them. But to start, sometimes it’s best to keep the target audience in mind and not play too much with one main message.” advises Carrie Aulenbacher. A website without a plan can be an expensive regret, in terms of both time and money. A simple pen and paper can suffice to map out the visual guide (or sitemap) to the structure of a website or page, using just boxes, lines and text. Wireframes are a great way to do that and you don’t need to be a designer to attempt them. 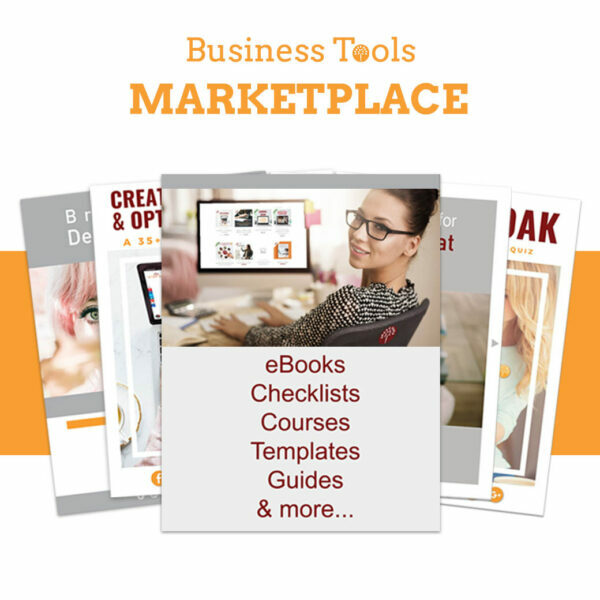 Sign up and get actionable tips and fabulous resources from a pro designer! Make it easy for users to find info or answers they need. Thinking about User intent buckets will help you categorize and lay out similar elements together. Your audience will need 3 things . Information- Answers to questions about your company, products and services. Education- Blog and other instructional content and resources. Transactions – All info that makes the purchasing process or required interactions (Eg: Sign-up)easy. Your website is not the place to reinvent the wheel. My recommendation is to follow the established web conventions your audience is used to. This applies both to location (logo on top left, login on top right, navigation bar on top etc.) and terminology. Any digress and you risk frustrating your audience and losing them altogether. “Website design is subjective, but a lot of industries have already set a standard that consumers are familiar with. The goal is to create a great user experience and prolong their stay, thereby increasing your chances at conversion,” adds Lisa Chu of Black n Bianco. Reading from left to right (F-shaped reading pattern) is the popular norm. Directives on your navigation bar should be designed the same way. It’s a good practice to start with content that provides information (About, Blog) and end with action (Shop, Sign-up). While the average human attention span has come down to the single digits – in seconds – the digital information that clamors for their attention has skyrocketed. When you’ve led a prospect onto your website and have their prized attention, use design to attract and hold it! Less is More. Today’s complexities demand simplicity – edit ruthlessly. Simple websites lead to less overwhelm and reduced stress. Evaluate your website periodically and remove unnecessary elements for a smoother and faster customer experience. Want more? Sign up for our Free webinar, full of ideas and actionable tips and tools! Well designed Call to Action buttons and lead magnets are essential to website design and initiate the user to take action. Careful words, clever placement, clear instructions and smart color choice goes a long way towards the efficacy of CTAs. Newsletter signups, when placed frequently across your site ensure that more users are likely to subscribe. Start with Why is a good example of positioning CTA’s at every scroll. “In terms of lead magnets, a free report—or anything that could take a long time to read is a hard sell in the fast pace world we live in. Buyers are much more likely to exchange their email for something actionable like worksheets or checklists, something short and relevant to their situation.” advises Shauna Armitage, Chief Marketing Strategist Making Moxie. 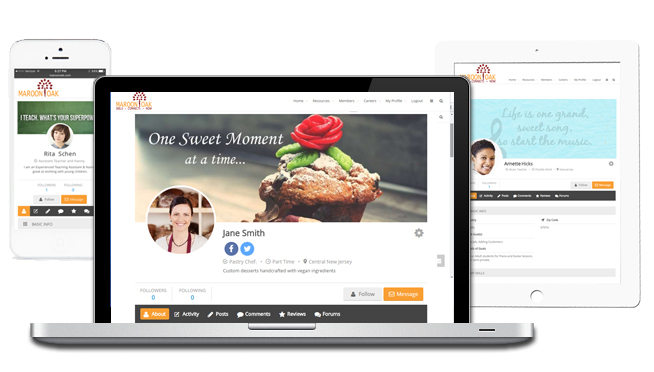 Sprinkle your lead magnets smartly across your website -in sidebars, within blogs etc. This ensures a higher probability of visitors going through with the process. The fold is the portion of your website that is visible to your visitor, without having to scroll down. Think carefully about the information you would like to put there to best capture attention. Ensure that you capture attention right away with strong images true to your brand, and a compelling Call To Action. In the same breath, adapt and align your design to your users constantly evolving interactions. With mobile overtaking desktop usage, we are beyond the tipping point. Users are no longer scroll-phobic and scrolling thumb gestures are becoming instinctive. Don’t hesitate to add pertinent information under the fold- products, testimonials, press mentions etc. “When starting out, have your content structure in place and prioritise your main products such as bestsellers to the homepage,” says Elaine Wilkinson, Director Hollywood Mirrors. According to Armitage, the website Urban Southern does a fantastic job of both above and below the fold content. Is your website too small to read on the phone or too big to fit in? You need to think responsive. Responsive websites have pages that have perfect readability regardless of device size. Responsive design adapts your website to the device your users are viewing it on. “After creating a beautiful website on your Mac or PC, it’s important to make sure your design is responsive across all screen sizes and devices. Find a responsive template that also displays well on mobile. Click through all of your pages while on all three devices to get a sense of the user experience. If anything is out of line, perfect it prior to your site launch.” advises Allison Scalera, Graphic Designer at Half Genius. Kolb suggests Corporate Design Interiors as a fantastic example of a responsive design. Test your website by using this Free Responsive Design Tool. Users are rarely reading every word of text. To sustain attention, smart design means breaking up text copy into paragraphs with subheadings and bullet points. “A specific no-no would be too much text clutter in the same section of the website. Visitors today tend to skim through the website’s content rather than slowly navigate as you’d imagine. Make sure you precisely focus on the key message you’d like to put across and try to use images or short phrases that would highlight it clearly,” advises David Kosmayer, CEO of Bookmark. Create with empathy for the user. Make important elements BIGGER or bolder. A strong hierarchy leads the user’s eye through a visual and logical progression. A weak one offers no guidance. 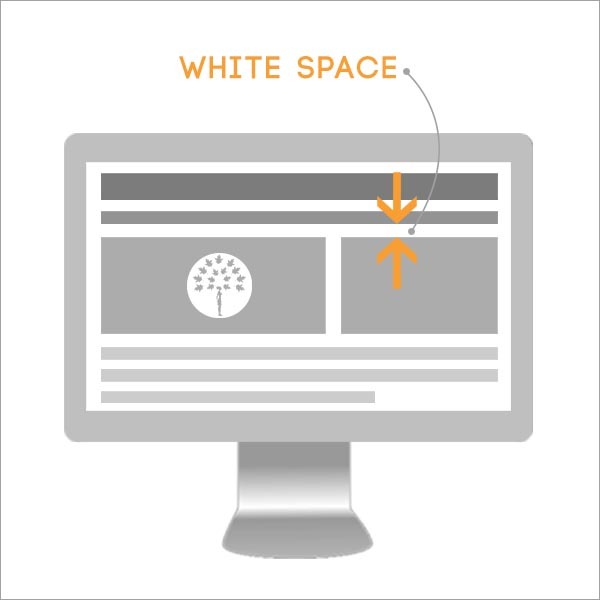 Whitespace or breathing space is one of the most important considerations for a great web layout. It aids in increasing emphasis, reducing clutter and providing a rest to the eye between the various elements on the screen. In order to guide users to focus on the important, take down all the unnecessary distractions off the screen, . Less options lead to faster results. Choose typefaces that work well in various sizes of devices. Limit the number of Font families to a minimum (2-3 at most) and keep it consistent across all your web pages. Google Web Fonts is a free resource and optimized for web. Submit an image to WhatTheFont to find the closest matches to a font you like. For the curious, here’s a fantastic 5 Minute Guide to Better Typography. If a picture is worth a thousand words, an icon does it even better! Not only are they content ‘breathers,’ icons also visually direct users towards the important parts of your message and free up valuable web real estate. On Maroon Oak, we use custom icons for #WomeninCareers. Each icon is visually designed to ‘ring the bell’ and direct the user to a relevant page. Can you guess what each of these icons convey? Leyton mentions e-commerce website Joy Jolt that uses icons creatively to visually differentiate categories. Browse and choose from thousands of icons with The Noun Project or Flat Icon. A memorable brand identity takes time and consistency. Use your brand logo, voice and color to enhance your web design, not define it. “In my experience, one of the biggest challenges that small business owners and entrepreneurs have is over-branding. Many entrepreneurs want to be innovative and in their quest for differentiation they end up confusing their audience with too branded terms,” says Elizabeth. What feelings do your colors evoke? Is your voice fun or formal? Is your copy or product description compelling and with the relevant keywords? Strong visuals with storytelling create powerful connections. Let your choice of elements subtly echo your brand personality throughout your website. Use colors that complement your website’s color scheme, yet, still stand out when a user is browsing your website.” suggests Kosmayer. 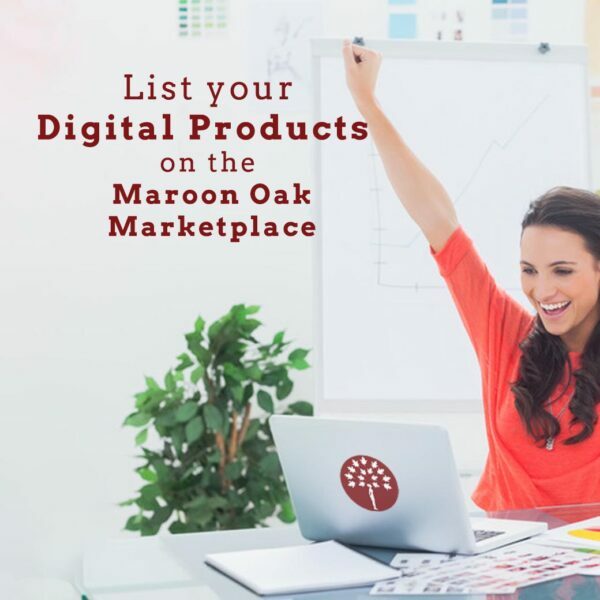 As a Women’s Networking platform, we have our brand colors at Maroon Oak, but we do not restrict ourselves to those, within our content. We incorporate our logo in creative ways in all our graphics and across our website, while keeping to women models and feminine elements. If color has you in a dilemma, scroll through endless 4 color combinations with Color Hunt, a pinterest for colors or have fun creating a color palette with Palettable, an interactive tool for building one. When faced with an array of design options, ask yourself – will this help my customer make a decision faster? So, what makes for a well designed website? Website design is not an exact science! Visual appeal coupled with traffic, user engagement, brand recall, and business growth are good metrics to evaluate yours. The good news is that it is not set in stone and can be modified and adapted to change. A well designed, adaptable website eventually leads to increased ROI! For visual appeal, Land Book is an awesome library of carefully curated, well designed websites for entrepreneurs and business owners to derive inspiration from. With all remaining same, if a beautiful website is what will give you an edge over your competition, why not grab that opportunity. What are you doing to create a website that keeps your customers and prospects coming back? Smart design will make you to reach large audience..these tips are very helpful to me as i have also created website for my business. This was really helpful. I have been looking at designing a website for a while but never knew where to start so thanks for this. Definitely needed this right now! Web design is something I really struggle with! The rules change all the time! Reading your post allowed me to learn a lot – especially on important basics! This all tips are such a useful guidelines for the entrepreneurs who are looking to promote their business online.. It’s really an informative article I must say.. This is so informative post. I agree with the points you have mentioned, Responsive designs make a lot of difference in how the visitor think s about you and your business. I love all these tips! I’m building a site for my mom soon, so I’m going to use this as a guide to help me! Thank you!! Wow, this is really good content. You made some really good points that i think a lot of people will find useful when they are considering building a website for their business. These are great information, so helpful tips especially for newbies. I will definitely check my website and do these ideas. Thanks! This is great information! Very comprehensive and definitely helpful for us newbies! I totally love the post, I was looking for information like this on my website. I like a design but is so many information that can be overwhelming. But here is clear and easy to understand. I agree as well and when i am on a website that looks amateur, not well designed or clear how to navigate, then I leave because the content would seem to be sub par also. Wow! Definitely have some work to do to up my website. This is a great outline and I;m thinking our objectives need to be planned out and curtailed more. Useful information. I may again read it to grasp more as I am not a technical hand. Brand name and the logo are important to a website! These are such a brilliant tips and ideas! Business owner would need. I think a good website and a good online presence in general are especially important. Loved this post! Love your concepts and approach! This was super helpful to read and so clear in your instructions. I need to set up a website for my dads business in the near future so I am grateful for the help! 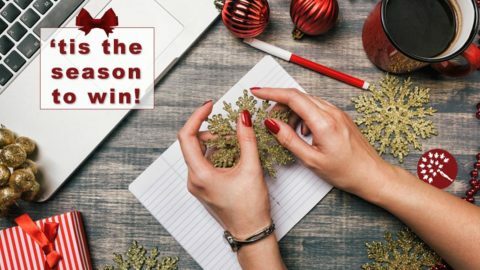 This is a great write up about website designing full of valuable tips for people who are into designing a new website or wants to improve the existing one. Today website is our face for our clients, so should be perfectly presented and always have a scope of improvement. VERY useful information. I’d be interested in interviewing you for my own blog that focuses more on newbie freelance writers. Just for a quick blog piece. Let me know if you’d be interested. Also, signing up for your mailing list. I’m too bogged down with actual clients to keep growing my business aspirations right now, but I know you’ll be a valuable resource when I’m ready. These are some really great tips, especially useful for making a site user friendly. I agree that its important nowadays for growing businesses to have a good website. I completely agree – the second I see a website that looks amateur I automatically assume it won’t be the best option even if it is – they’re doing themselves a serious disservice! Hal, a website is not just a need to do anymore. Its a need to do well! I’ve always been questioning my website and I think some of your points are super key! I like the idea of first impressions too. Thanks for the tips, incredibly helpful! Thank you Zoe! True, most users rarely offer a second chance! This is very timely! I have been in back and forth with my designer the last few days and I’m so glad I read this. Will be referring to this again! Thanks! Glad it helps Georgia! As a business owner, its good to understand some fundamentals when you work with a designer.